Champis will be kept busy there! What a great one! RIP and good wishes to the Champis caregivers. He was a *very* handsome little bunny guy! And so full of bunny spirit, and so adept at herding sheep literally hundreds of times more massive than him! Without getting trampled himself! 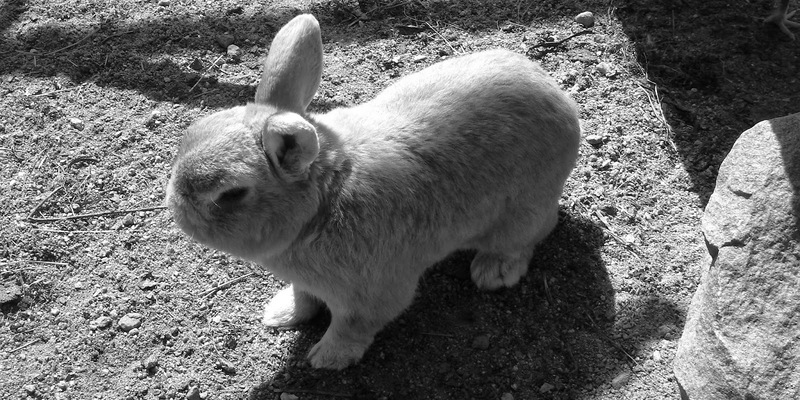 He was a bunny superstar, full of intelligence and bunnitude! A true bunny champion! He leaves a very big Champis-shaped hole, for such a small, but handsome, intelligent, and energetic bun! I am sure that many buns have lowered their ears to half-mast in respect, and accorded him the 21-bun salute! Thank you all for helping me express what I am feeling, and thank you, Champis. Romp in Paradise forever. The picture of the worthy sheep bowing their heads to him says it all. A majestic rabbit! He will have a hero's welcome in the Big Garden! Peace, sweet, fierce little guy. Perhaps little Champis Junior will carry on in his thump-prints..?